Window Issues! 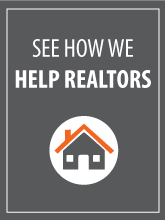 How Agents Can Help Their Sellers Upfront. Foggy or faulty windows can either point to a structural issue, or can sometimes be viewed as a cosmetic repair needed on a home. Prior to listing a home and scheduling an inspection, it can be very advantageous to identify and have a professional evaluate any window issues that may be present. Advising sellers to address or, at minimum, get the problems look at before listing can avoid a slew of red flags being set off to prospective buyers. First impressions! 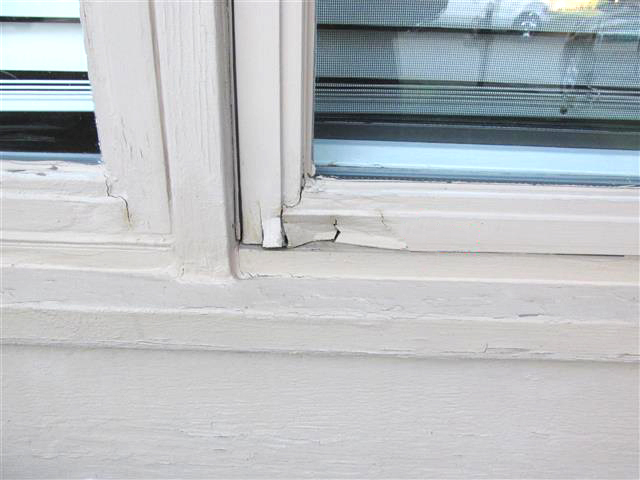 Buyers wonder…if one window is faulty, are there more that will be soon? What else might be old or faulty in this house? Efficiency Concerns. Faulty windows can result in reduced energy efficiency. Buyers are reviewing utility averages and costs as this is a major factor in their ability to afford and maintain the home themselves. What is lurking beneath? Damaged wood is really scary for buyers. A water trap is any surface that is not sloped downward away from the wall and allows rainwater to sit until it evaporates. These areas soon develop spots of wood rot and, if left unrepaired, allow water to enter the wall and begin to rot the wood framing. And then mold…ahhh! Inspection Reports. Inspectors should be reporting all visible window seal issues. Windows either function as intended or they don’t. A failed weather seal is a failed window in need of repair and/or replacement. Get ahead of the inspection report if you know there may be an issue. This allows you the seller to get estimates and make the right financial choices vs. being rushed to get all required repairs done in order to get to closing on time. Keep repair options open. 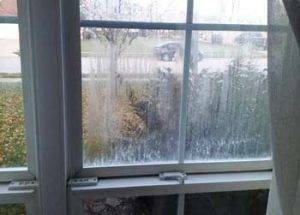 Foggy glass can often times be repaired, wood replaced, etc. If sellers wait to explore this option after an inspection report, prospective buyer may instead push for a full window replacement instead. What’s is worth to them in the end to maintain a good selling price? Inspect your own windows before listing. All window are tested during an inspection. Do they all open? Are they difficult to open? Are any locks missing? Are any screens missing? If the seller has big furniture in front of a window, or bric-a-brac on the window sill, sometimes Inspectors can’t risk moving the belongings to test the window. Checking a listings windows functionality upfront and working with a qualified Indianapolis window repair company can save lots of money and time, and most importantly ensures your Sellers that you are helping them get the most out of their listing and avoiding big surprises. Contact Indiana Residential for a free window evaluation of your listings. Major repairs and deferred maintenance can quickly lead to additional issues and further damage to the home if left unrepaired. Safety issues can lead to harm to the new homeowner and their children. Agents, buyers and sellers all need to protect themselves. Get it done. Completing all the repairs agreed upon by both the buyer and seller limits the seller’s liability to post closing issues, such as complaints, claims or lawsuits. Completing repairs before closing protects buyers against hidden damage and unforeseen costs that could be exposed when a repair is made after closing. Buyers want to have peace of mind about their new home and not be surprised with unforeseen issues. When repairs are completed, this provides the buyers the opportunity to have the repairs re-inspected before they take ownership. Buyers can settle in to their new home knowing that the repairs were done properly. When price is negotiated down or money given back at closing we find that often times the new buyer fails to have the repairs made. The needed repairs come up again when the house is resold. Seller’s insurance company could pay for roofing, siding, or other damage if caught in advance of the sale. As a leader in our industry, Indiana Residential can provide a quick accurately written estimate, and repairs made correctly, on-time, by professionals. While others promise results, we provide them. Contact us and learn how we can be integrated into your process, helping you be more productive and focusing on what you do best, selling homes! Foggy Windows? Visible condensation or residue between your window panes? The Indiana Residential Window Restoration team can professionally restore existing window glass to like-new condition. Replacing the glass and failed thermal seal on insulated glass units (IGU) can offer a quick and cost-effective way to extend the life and look of windows, and can be fixed at a fraction of the cost of having the entire window unit replaced. We can properly repair the bad ones and keep the good ones in place. Yes, wood windows can be repaired! It is essential to utilize parts that are designed specifically for each window type when restoring wooden windows to their original glory. Your typical handyman or repair company cannot do this. Why? Well, every original window was designed with a specific profile for proper fit and function. To achieve that exact fit and function, you need to use an exact replica of the original components. And that’s exactly what we do; we utilize specifically engineered window sash replicas that are duplicates of the original window profile. We match yours to these replicas AND have stock on hand for most brands of windows that were installed in the Indianapolis and surrounding areas. This allows us to quickly identify and start restoring your window, compared to months of lead time for custom tooling. Have broken or faulty window parts? Got leaks or damaged frames? Foggy Glass? Condensation? Various window components can fail or be damaged over time. We repair everything from failed thermal seals and weather-stripping to locks, balances, cranks, openers, operating arms, and screens. From double-hung, sliding and casement windows to bay and garden style windows, our team installs quality windows to meet your energy and insulation needs.